The Poem Farm: Day 28 - National Poetry Month 2015 - Sing That Poem! Day 28 - National Poetry Month 2015 - Sing That Poem! Welcome to Day 28 of this Year's Poem Farm Project! Yesterday's poem was Alone Outside. Here is the tune that goes along with it, below. Did you figure it out? 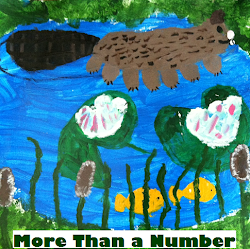 Margaret Simon's students from Caneview Elementary in New Iberia, Louisiana, have done it again! You can hear them singing below. And here is the music to go with yesterday's poem, The Tree Song, written by Margaret's students, Matthew, Tyler, Noah, Jacob, and Vanissa, from Jefferson Island Road Elementary in New Iberia, Louisiana. As you will hear, this song is to the same tune as "Alone Outside." 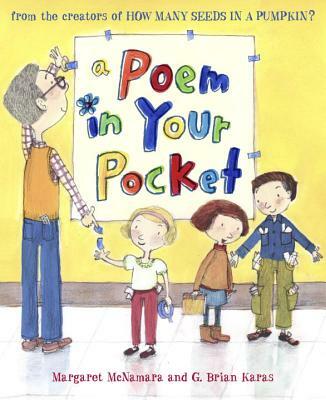 Students - Poem in Your Pocket Day is on Thursday! On this special day, people across the United States carry poems in their pockets and share them with friends and strangers. I wrote today's poemsong in anticipation of this soon-day. 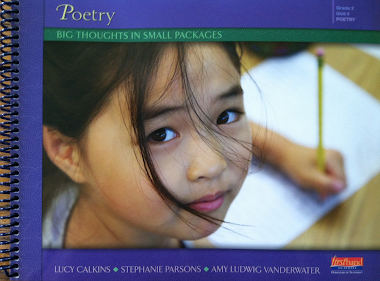 Students often ask me, "Amy, why do you write so many poems?" One reason is because there is a poem for everything. A poem CAN be happy or sad. It CAN tell a story or help me remember something from long ago or slow down my mind or help me feel grateful or stand in awe. It will be hard to know which poem to place in my pocket this week...perhaps I will choose two! 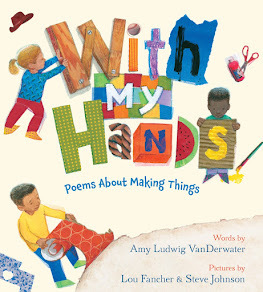 Teachers - Here, at ReadWriteThink, are a few resources if you would like to invite your students to carry poems in their pockets. 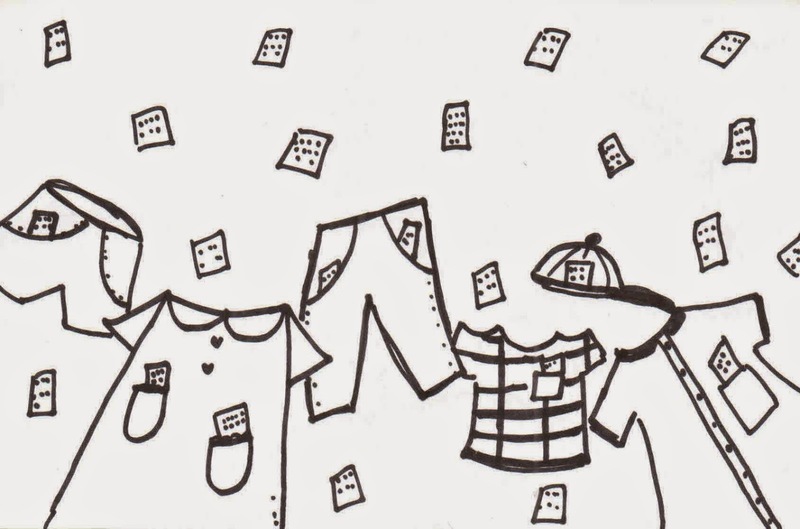 Anyone who wishes to share any poem-pocket-joy with me, I'd love to post your pictures and ideas here, perhaps on a brand new Poem in Your Pocket Page! 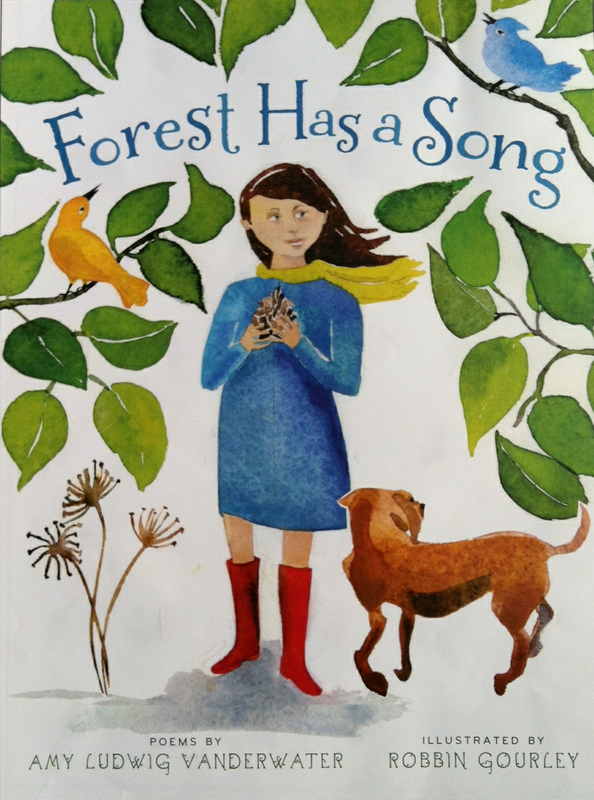 And if you have not yet seen this new book by Margaret Mcnamara and illustrated by G. Brian Karas, I imagine you will enjoy Elinor's journey to find a just-right poem for her pocket. 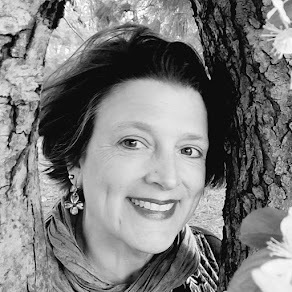 And now for another Poetry Month tradition... For the past few years, poet and novelist Irene Latham has invited all interested bloggers to participate in a Progressive Poem. This poem moves from blog to blog throughout April of each year, and each day, the blogger-of-the-day adds a new line to the growing poem. You can see the travels of this year's poem here at Irene's blog, Live Your Poem - just look in the sidebar during this month of April 2015. If you'd like to read the Progressive Poems from 2012, 2013, and 2014, you can read them, also at Irene's blog - here. Yesterday it was my turn to happily receive the poem from Jan at Bookseedstudio, and today I hand it off to Donna at Mainely Write. You will see the line I added in blue...at the very end. My apologies for any extra line breaks; these were caused by the width of my blog. Take it away, Donna! Oh, my! She speaks! Now I can go to sleep. Perhaps my dreams will give a clue tonight! Wonderful line, Amy'! I love the suspenseful expectancy of your line. This has been a wonderful story to watch as it unfolds. Thanks for featuring my students today. This project has made NPM a meaningful and fun month for us all. You rock, Ms. Amy! A real voice! Amy this is more suspenseful than ever. Anticipating Donna & Matt's next words..
You've brought us clearly to the words needed for good(?) endings, Amy. Great lead in for Donna. It feels like we're just now getting in to the thick of the plot...and the poem's almost done! Now that she speaks, anything could happen. Looking forward to seeing what Donna comes up with tomorrow. I think the poem's on track to end the way a poem should, if we do it right: with lines that both close and open--ending the experience or story of the poem and beginning the reader's long participation in the mystery of it. Yes, let's hear Pearl's voice! Lovely, Amy. A perfect "hand-off" (sorry - couldn't help that). Lovely! I think this one is shaping up to be our best!